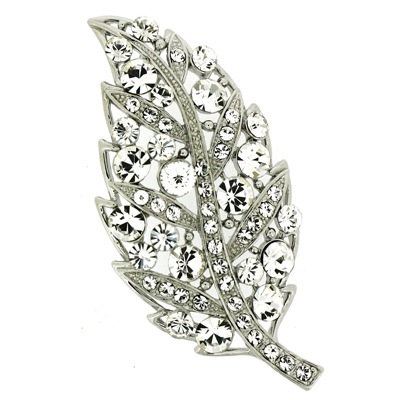 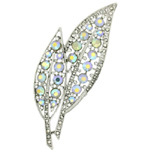 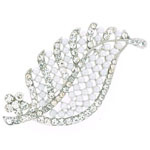 Leaf brooch encrusted with clear swarovski crystals on a silver plated frame and fastens with a flag pin and revolver clasp. 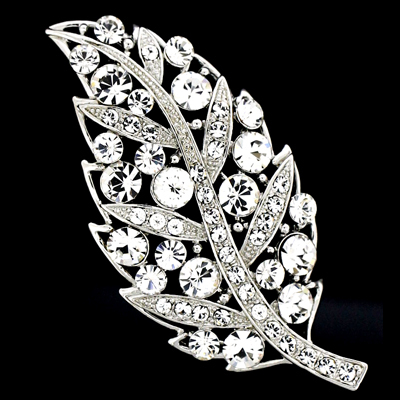 Size: 5.5 x 2.5 cms. 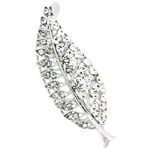 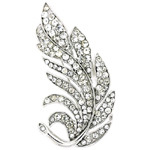 A delicate and very attractive design which is sure to not go unnoticed adorned on any outfit.